European train tickets . . .
London to Paris from £44? Paris to Venice €29? Paris to Amsterdam €35? Venice to Rome €29.90? Prague to Vienna €14? Berlin to Prague €19.90? Cheap budget train fares are here, city centre to city centre, no airport taxes, no baggage fees, no booking fee and infants go free. You usually just print your own ticket. But you need to use the right website for the right journey. It would be lovely if there was one website which sold tickets for all European trains at the cheapest price, but there isn't. No such website exists. On this site I'll tell you the best way to buy European train tickets for your specific journeys, as long as you have a credit card & internet access. Just select the city where your train journey starts in the drop-down menu. Read these tips to understand how European train tickets work & whether to book in advance or buy at the station. Click on the city where your train journey starts and I'll tell you the best & cheapest way to buy train tickets to cities in neighbouring countries and beyond. I can't write a page for every possible starting point, so use common sense - for example, if you wanted Sorrento to Groningen, you'd look up Naples to Amsterdam. Each European country has its own national train operator with its own ticketing system and its own website. There are private operators too. Most operators offer cheap budget-airline-style fares if you book ahead, but you can only buy them from their own website or from an agency directly linked to that ticketing system. Take Prague to Budapest for example. My site tells you to book at the Czech Railways (CD's) website as this sells advance-purchase tickets from just €21, international credit cards accepted, no booking fee, you print your own ticket. You can even choose your seat from a seating plan! No other website can access these €21 Prague-Budapest fares, but several well-known ticketing sites will sell you a ticket for a whopping €90+ using an almost-obsolete inter-operator system called TCV, a conventional ticket which must be posted to you at extra cost making it over €100, ouch! And your seat is allocated with little or no choice. Can you now see why it matters where you buy? Ticket delivery matters too. For example, you can book Vienna to Venice at Trenitalia.com, but tickets have to be collected from a self-service machine in Italy, no good if you're starting in Vienna. Trainline.eu links to the Austrian Railways system & does e-tickets in either direction, so this is the site I recommend here. I take all this into account to tell you the cheapest & easiest way to book each specific journey, whether you live in the UK, USA, Australia, Singapore, wherever. To check train times for almost any journey across most of Europe use www.bahn.de/en, the excellent, fast & capable all-Europe timetable at the German Railways website. OK, so it won't give fares for journeys outside Germany, but it'll give train times even for complex journeys almost anywhere in Europe, from Lisbon to Moscow, Helsinki to Palermo. It has a few limitations, for example it won't show train times for a few private railways such as the Circumvesuviana from Naples to Sorrento, the data gets a bit sketchy in the Balkans, and if I were making a very long journey I'd allow much longer connections that the minimum connection times suggests, but it's still great. It's pretty easy to use, you'll find its few quirks, foibles & limitations explained here. To check station departure or arrivals for any given station across most of Europe, try www.bahn.de/ris. This is an online equivalent of the printed departure posters displayed at stations, showing the scheduled times. For real-time information on delays or disruptions affecting train services in whatever country, see the real-time section here. How train tickets work: Do I need to book in advance? Can I just buy at the station? Tickets for local, regional & suburban trains can easily be bought at the station. The price is fixed so there's no price advantage in pre-buying. Reservation isn't compulsory, it's usually not even possible, these trains can never sell out, so again there's no point in pre-buying. Just buy a ticket at the station and hop on the next train, sitting anywhere you like. Think New York Subway! Buying online simply saves a few minutes at the ticket office, that's all. Domestic trains wholly within Switzerland, the Netherlands, Belgium & Luxembourg work like this, reservation isn't necessary and in most cases not even possible even for InterCity trains. You turn up, buy a fixed-price ticket at the station & catch the next train. At the other extreme, inter-city and high-speed trains in France, Italy, Spain, Portugal & Sweden work like airlines, as do most international high-speed trains to or from France including the Paris-Brussels-Amsterdam Thalys trains, Paris-Germany high-speed trains, Paris-Switzerland TGV Lyria trains, the Paris-Milan TGVs & the Paris-Barcelona TGVs. Fares are dynamic like air fares, very cheap if you book in advance but much more expensive if you buy close to departure day. For example, Paris to Amsterdam starts at €35 bought several months in advance (no refunds, no changes to travel plans), but costs a whopping €130 for a fully-flexible ticket if you wait and buy on the day. The most expensive fares usually allow changes and refunds, but the cheaper fare levels mean no refunds & no changes to travel plans. Every ticket comes with a reserved seat automatically included, just like flights. Trains are all-reserved so can sell out, at least in theory, although in practice they seldom do except at very busy periods. For example, the average load factor on French TGVs is 85%. The message in this case is clear: Pre-book to save money and be sure of a place!! Inter-city trains in the UK, Germany, Austria, Denmark and much of eastern Europe work the old-school way. There's a flexible full-price fare with unlimited availability and a fixed price, good for any train that day. This cannot sell out, you can always turn up, buy a full-price ticket and hop on the next train, sitting in any empty unreserved seat. However, these full-price flexible tickets are often expensive, especially for longer distances. You can buy a much cheaper advance-purchase fare if you book ahead and commit to a specific train with limited or no refunds or changes to travel plans. These advance-purchase tickets go by various names: Advance in the UK, Sparpreis in Germany, Sparschiene in Austria, First Minute in the Czech Republic. The prices are dynamic with limited availability in each price band. The price rises as the cheaper tickets are sold and departure day approaches. A seat reservation is optional, usually for a small extra fee, typically €3 to €4.50 per seat. If you choose not to reserve a seat you sit in any empty unreserved seat, of which there are usually many - for example, the average load factor on German IC & ICE trains is 65%. But at busy periods you may have to stand if you find all the seats already taken. For example, from Munich to Vienna you can buy a cheap advance-purchase ticket for €29, €39, €49, €59 etc., limited availability at each price level, only good for that specific train, limited or no refunds or changes to travel plans. Or you can pay €95 for a full-price ticket, good for any train, unlimited availability, can never sell out. Neither type of ticket comes with a reserved seat, you can can get on and sit anywhere you like, or you can pay an extra €4.50 for a seat reservation to be 100% sure of a seat. I wouldn't bother reserving if I was travelling solo mid-week in February, but I would make a seat reservation if I was travelling on a Friday in July and there were 4 of us! The message here is, pre-book to save money if you are happy committing to a specific train, but if you don't mind paying full-whack you can buy on the day as trains cannot sell out. The single biggest reason people initially hit a brick wall trying to buy a train ticket is that they try to look too far ahead. Overseas visitors booking their once-in-a-lifetime trip to Europe try to book half a year ahead and wonder why trains aren't shown or bookings don't work. Whereas local people buy train tickets as part of their daily life, to visit Granny, attend a meeting or go shopping, planning their lives and buying their tickets days or weeks ahead, not months. There's no rush, wait till bookings open! See the How far ahead can I book? page for full details of how far ahead you can book different types of European train. Tip: If you need to book hotels or accommodation at your destination before train bookings open, no problem, you can hold accommodation risk-free at www.booking.com as they usually offer free cancellation up to 24 hours before your stay. Don't buy a Eurostar ticket before booking opens for your onward trains! Eurostar reservations between London & Paris open up to 180 days ahead, but your onward train probably opens only 92 or 120 days ahead. I strongly recommend waiting until onward train booking is open so you can confirm the actual times of your onward train for that date before booking a non-changeable non-refundable Eurostar ticket. 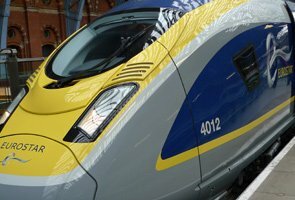 At least, unless you are consciously prepared to take a calculated risk - Eurostar tickets are now changeable, but it costs £40 + the difference in fares to change a Eurostar ticket. As a general rule, if you want to go (say) Paris-Amsterdam with a stopover in Brussels, treat this as two separate tickets, Paris to Brussels & Brussels to Amsterdam. I often find that people clinging to the concept I want to go from A to C with a stopover at B bang their heads against a wall trying to book and end up 'confused' while people who think clearly I want to go from A to B on this date, then B to C on that date quickly and easily book both their tickets! Cheap advance-purchase tickets are almost always train-specific, for example Paris-Amsterdam for €35. You cannot stop off with these cheap tickets as they are only valid on the specific train you've booked. If you need to, you can get off short of your destination with these tickets (this is fine in mainland Europe, but not in the UK), but the unused part of your ticket becomes worthless. 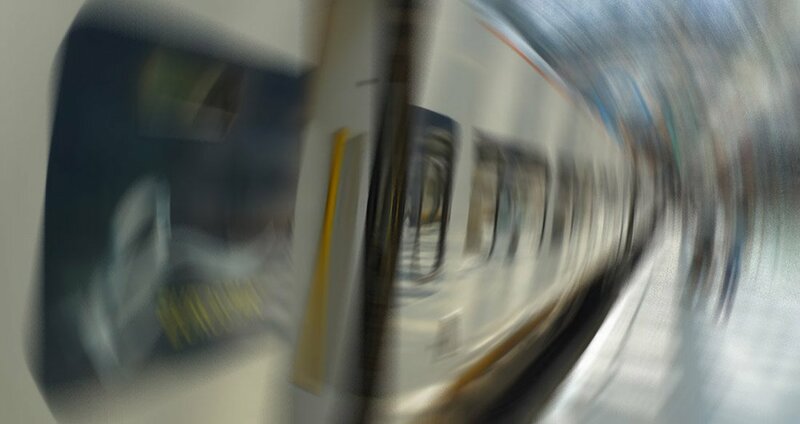 On trains with compulsory reservation (for example, almost any longer-distance train in France, Spain or Italy), you cannot stop off even with flexible tickets, as they too are only valid on the train you've booked. On local trains, and on long distance trains without compulsory reservation, you can often stop off if you have a flexible ticket which allows stopovers. But check the small print carefully for your specific ticket type &as every rail operator has different rules. It's often best to play safe & book each leg as a separate journey. When booking a journey to, from, across or within Germany at the German Railways website, www.bahn.de, you can pre-programme a stopover using the useful Add intermediate stop feature. Just enter a city and a specified number of hours in the 'hh:mm' stopover box and it'll give you (for example) a Munich to Vienna ticket from €29, but with a stopover in Salzburg included. Or Berlin to Prague with a stopover in Dresden. Maximum 2 stopovers, total journey time mustn't exceed 4 days. Well worth knowing! 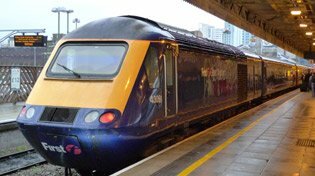 Finally, of course, if you are making a long multi-train journey such as London to Malaga where each train is ticketed separately in any case, you can naturally arrange stopovers simply by booking each leg for whatever date and time you want. Most websites ask for your age when you run an enquiry and it'll then show any senior or youth fare if there is one and if it's the cheapest option. So don't waste time worrying about it, just run the enquiry and buy whatever ticket is cheapest. If you are offered a senior or youth fare in the search results merely because you entered your age, then no special railcard is needed, just carry proof of age when you travel, for example your passport. Tip: Don't buy any fare marked with a word like Carta, Carte, Karta, Cartafrecchia, which all mean Card. Most websites ask you what discount cards you have and won't show you card-discounted fares unless you tell it you've a card, but a few sites (for example Trenitalia.com) show railcard-discounted fares to everyone. If you haven't got the card, don't buy the fare If you're not sure whether you have a discount card or not, you haven't! Many international train fares work like this: €29/€39/€49/€59 limited-availability advance-purchase fares for anyone of any age, €80 Senior fare, €100 full-flex fare -as the senior rate is typically a % discount off the megabucks full-flex fare, not a discount off every fare in the range. There's little point in buying the €80 senior fare if a €29 fare is available for anyone of any age. Only if you needed to travel at short notice when the cheap fares were sold out would there be any point in buying the senior fare. So again, forget being senior, just buy the cheapest ticket. Some countries have their own senior or youth railcard schemes. You buy the railcard for a fixed fee and it is then valid for a year, giving discounts on tickets for domestic journeys within that country, but not usually international journeys. In most cases you can only buy these railcards when you get to the country concerned, not online and not from abroad. However, 99 times out of 100 a foreign visitor will not be making enough trips to make such a card worthwhile. And if you can only buy the railcard when you get there, the day before you want travel when all the cheap advance-purchase fares are sold out, your card might give you a 25% discount off a €100 full-price full-flex fare when you could have booked online from your own home two months ago and bought a €29 cheap advance-purchase fare without a railcard. In general, you only need to consider such a railcard if you are planning to make multiple journeys in that country during the course of a year. Most holiday travellers can forget this distraction, just go online in advance and nab a cheap deal, don't worry about railcards. Incidentally, British Senior Railcards & 12-25 railcards don't entitle you to any discount on Eurostar or anywhere outside the UK. They are National Railcards, the clue is in the name! Go to the relevant rail operator website, see the list on the links page. In Italy, the senior fares shown on Trenitalia.com are only for people with Trenitalia's Carravaggio card. French Railways have a similar Carte Senior, which gives a 25%-50% discount for around €55 a year. In Spain there's the Tarjeta Dorada. The golden rule when booking is, don't select any strange brand-name with the word 'card', 'carta', 'carte' etc. before or after it unless you know you have one! There used to be an international railcard called a Rail+Plus Senior card which gave a 25% reduction on full fares for international journeys between a range of western & eastern European countries. However, it has now been withdrawn, no great loss as it wasn't valid on any of the 'globally priced' international trains in western Europe, which now means almost all of them! Infants under a certain age go free on trains, no ticket required (Spain is an exception, see here and so is Russia), just bring them with you. Children under a certain age travel at a child rate, sometimes a 50% discount, sometimes a special child rate. Infant & child age limits vary from country to country, so if you are travelling with children, see the train travel with children & child age limits page for full details and advice. 1) Child fare more expensive than adult fare. This happens when (a) the train operator has created an adult full-price fare + a child full-price fare + some cheap adult advance-purchase fares, without creating equivalent advance-purchase fares for children, and (b) the website software isn't sophisticated enough to substitute an adult advance-purchase fare instead of the child full-price fare if it's cheaper. A child can travel on an adult ticket of course, just not the other way round! For example, at the French Railways website I have seen 1 adult & 1 child Paris-Barcelona priced at €74 (cheap rate adult) for the adult + €114 (full-fare child) for the child, because the system wasn't clever enough to know that 2 x €74 adult tickets would be cheaper. The solution is to spot this and manually re-run the enquiry with 2 adults selected. Incidentally, loco2.com had the necessary extra software and handled the exact same enquiry correctly, offering 2 x £68 (= €74) adult tickets for 1 adult + 1 child on the same train. Just keep your eyes open and book with brain engaged! 2) Some websites apply the wrong (more restrictive) child age limits: Most notably, due to technical limitations French Railways-based websites including oui.sncf, Raileurope.com & Raileurope-world.com blindly apply the French Railways age limits to any train they book, whatever age limits actually apply. It's a particular problem when booking Paris-Germany trains as French Railways apply their own 'under 4s free, under 12s child rate' policy when the German Railways website Bahn.de correctly applies their own far more generous policy of 'under 6s free, under 16s at child rate, under 16s free if accompanied by a fare-paying adult' when booking exactly the same train. A key rule is that if you have kids and the train is German or to, from, across or within Germany, use the German Railways website not the French! Railpasses give unlimited flexible travel around one country, several countries, or most of Europe. If you want to be free to explore Europe, see the InterRail pass page if you live in Europe or the Eurail pass page if you live outside Europe. Contrary to overseas railpass marketing, railpasses are most definitely not a way to save money, rather an amazing freedom to experience Europe for which you pay top dollar. If you simply want to travel from A to B cheaply, just pre-book an advance-purchase ticket a month or two ahead as shown on this page and forget about passes. Railpasses may (sometimes) save money over expensive long-distance full-price tickets bought on the day of travel, but almost never against the cheap advance-purchase fares that you can now get on most routes. For a blow-by-blow account of the classic 'Should I buy a railpass or point-to-point tickets?' argument, see the Railpass & Eurail page. Complex journey? Split the booking! The most important piece of advice I give time after time, when people find booking systems won't handle (say) Avignon to Pisa all in one go, or won't give a cheap fare for (say) Zurich to Florence, or the Italian Railways website won't book an indirect train to Luzern: Split the booking! Some booking systems can only handle direct trains, for example Spain www.renfe.com (other than a limited number of key pre-programmed connections), Hungary www.mavcsoport.hu, and Czech www.cd.cz/eshop. The Italian railway sites www.trenitalia.com or www.italiarail.com can handle changes of train within Italy, and direct trains from Italy, but not journeys with a change of train outside Italy, such as Milan to Luzern with a change at Arth Goldau. The French systems at en.oui.sncf can handle a maximum of 2 or 3 changes, but more than that and they won't work. Very few sites can handle complex multi-leg journeys. The solution is to break the journey down into bite-size chunks, then book each chunk of the journey (or if necessary, each individual train) in turn at the relevant operator's website. It's often helpful to start by finding a suitable end-to-end journey using the German Railways all-Europe online planner at www.bahn.de, as this can happily work out multi-country multi-leg journeys. As an example, none of the train operator websites can book a journey from Amsterdam to Benidorm near Alicante in Spain all in one go. But www.b-europe.com or www.thalys.com will book Amsterdam-Paris by high-speed Thalys train. The French Railways website en.oui.sncf will book Paris-Barcelona and the Spanish Railways website www.renfe.com will book the Barcelona-Alicante train. A local ticket from Alicante to Benidorm can then easily be bought on the day at the station, so no need to worry about that. A bit of creative thinking is sometimes required! If I'm unfamiliar with a ticket selling website, the first thing I check is the ticket delivery options. For example, the Italian railways website trenitalia.com will happily sell you a ticket from Vienna to Venice, but it cannot sell print-your-own e-tickets on this route, tickets can only be collected at Italian stations or sent to Italian addresses, so it's no good for journeys in the southbound direction towards Italy. On the other hand, the Austrian Federal Railways website gives print-your-own e-tickets for this same route in either direction, so can be used to book Vienna-Venice trains in either direction. I take this into account in recommending the right website to use for any particular journey. When is it better to book by phone? If there's a persistent glitch with the online systems, or none of the systems seem to book what you want, pick up the phone! People forget you can still do this. See the advice on who to call here. You may also need to pick up the phone if you have a specific requirement, such as a specific seat or a seat in a specific carriage. And there are journeys that simply can't be booked online at all, for example many eastern European journeys such as Warsaw-Kiev or Bucharest-Istanbul to name just two. Finally, if you're booking a more complex journey, you may prefer to book all your tickets together by phone, even though you pay a booking fee, rather than have to make multiple bookings on several websites making sure that each of these connects. See the How to buy tickets by phone page - some agencies are better than others for specific routes or countries, because of the system the use. Booking your own tickets online and putting a trip together yourself is the cheapest option. But if time, hassle and a lack of the necessary expertise are your main concerns, not cost, you can get specialist train tour agency Railbookers to arrange your whole trip, with train tickets, transfers and hotels all expertly organised to your own specification. As you are then considered to be booking a package, they'll also take care of any necessary alternative arrangements if disruption occurs during the trip, for example strikes or floods. UK call 020 3327 0761, railbookers.co.uk. You can book your hotels before booking your trains... Trains normally can't be booked more than 90 days ahead, but people often want to confirm their accommodation earlier than that. I generally use www.booking.com for hotels as they usually let you book rooms with free cancellation. This means you can book hotels at no risk, months before train bookings open. 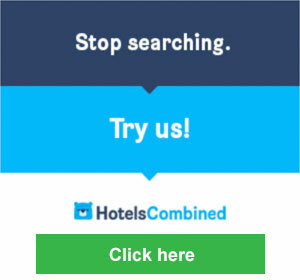 Run a price comparison... Use www.hotelscombined.com to find the cheapest seller of any given hotel, or to find hotels in even the smallest of places. It was named as the World's Leading Hotel Comparison Site at the World Travel Awards 2013. It's a remarkable site, it checks all the major hotel booking sites at once, including Expedia, Hotels.com, Agoda, Booking.com and many more. Left luggage for free... Hotels will almost always look after your bags for free if you need to check out and catch an afternoon or evening train, or if you arrive in the morning before you can check in to your room. Hotel buffet breakfast, even if you're not staying there... If you're arriving early, perhaps by overnight sleeper train, don't forget that you can usually walk into a large hotel near the station and pay for their buffet breakfast even if you're not staying there. All the coffee, juice and cooked breakfast you can eat and drink, for a fixed price. Each destination country page gives step-by-step instructions for booking a train journey from the UK to destinations in that European country. See the Irish Railways website www.irishrail.ie. There's no need to pre-book as reservation is never compulsory, you can just turn up, buy a ticket and hop on the next train. However, Irish Rail offer some special extra-cheap advance-purchase fares if you pre-book at www.irishrail.ie and collect tickets from the self-service ticket machines. This can be booked at the Irish Railways website www.irishrail.ie. Reservation isn't essential, you can always just turn up, buy a ticket and hop on the next train from Dublin Connolly station to Belfast. But you may find some cheap advance-purchase fares if you book in advance. You can buy cheap SailRail tickets for train & ferry travel from any rail station in Ireland to any rail station in Britain at www.irishferries.com. Dublin to London costs from €50. Cork, Limerick, Galway or Sligo to London costs from €70. Any day, any time. Travel on the Swift fast ferry costs a few euros more. Full details on the London to Ireland page or www.irishferries.com. First, buy a cheap SailRail ticket from Dublin or anywhere in Ireland to London at www.irishferries.com from €50. I recommend using the all-weather-reliable ships when connecting for destinations beyond the UK, not the Swift fast ferry as this is cancelled when wave height exceeds 1 metre. Then buy a Eurostar ticket from London to Paris or Brussels from £44 one-way, £58 return at www.eurostar.com, allowing plenty of time to change trains and stations in London in case of any delay, or stay overnight if necessary. For example, take the 08:05 ferry from Dublin Ferryport to Holyhead, connecting with a train to London arriving 16:38 weekdays, 17:38 Sundays. You arrive at London Euston station, you can walk (10 minutes) along to St Pancras station where Eurostar departs. You should have no trouble getting the 19:00 Eurostar arriving Paris 22:17. For detailed times, fares and how to buy tickets from London to Italy, Spain, Switzerland or anywhere in Europe, see the relevant country page, selected here. Option 2, by direct ferry from Dublin or Rosslare to Roscoff or Cherbourg in France, train to Paris. Irish Ferries (www.irishferries.com) sail from Dublin to either Roscoff or Cherbourg every few days most of the year, check schedules at www.irishferries.com. Their luxurious new superferry WB Yeats will carry foot passengers on this route, the smaller Epsilon may not. Stena Line (www.stenaline.co.uk) sail every few days from Rosslare to Cherbourg, foot passengers carried. Sailings are overnight, times vary. A range of comfy private cabins is available. Check train times from Cherbourg or Roscoff to Paris at www.trainline.eu. Cherbourg will be the easier place to get a train to Paris from. Brittany Ferries (www.brittanyferries.ie) sail from Cork to Roscoff every Saturday from March to November, sailing around 16:00 and arriving around 07:00, with restaurants, bars and comfortable cabins available on board the luxurious Pont-Aven one of my favourite ships (see photos & video of the Pont-Aven here). You can then take a late-morning train from Roscoff to Paris, usually with a change at Morlaix, arriving around 16:15, in time for evening TGVs to Switzerland or the sleeper train to Italy to Germany. Check Roscoff-Paris train times and buy tickets online at www.trainline.eu. Take the 08:05 ferry from Dublin to Holyhead, connecting with a train arriving at London Euston at 16:38 Mondays-Saturdays, 16:44 Sundays, from €50, book online at www.irishferries.com. Take the Underground or a taxi from Euston to Liverpool Street station. Now travel overnight from London to Amsterdam by Dutch Flyer train & night ferry from £49 with private cabin from £30, see the London to Amsterdam page for details. Take the 08:05 SailRail service to London Euston, booked at www.irishferries.com from €50. Take the overnight Dutch Flyer from London Liverpool Street to Amsterdam, sleeping in a private cabin on the Stena Line superferry with shower, toilet, satellite TV and free WiFi, booked as shown on the London to Amsterdam page from £49 plus cabin cost. Spend a day exploring Amsterdam. Paying for a guidebook may seem an unnecessary expense, but it's probably just a tiny fraction of what you're spending on your whole trip. You will see so much more, and know so much more about what you're looking at, if you have a decent guidebook. For the independent traveller, I think the best ones out there are either the Lonely Planet or the Rough Guide. Both guidebooks are excellent, and you won't regret buying one..! Alternatively, the 'Europe by Rail' guide combines country information with basic train information. www.tripadvisor.com is a huge resource, a good place to browse independent travellers' reviews of all the main hotels. www.hostelworld.com: If you're on a tight budget, don't forget about the backpacker hostels. Hostelworld offers online booking of dorm beds or ultra-cheap private rooms in backpacker hostels in most European cities at rock-bottom prices.